Let's check out the promos! 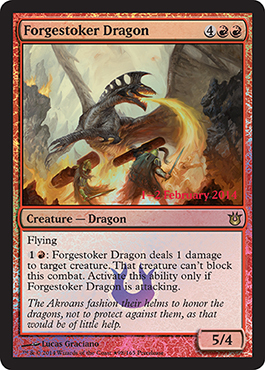 We looked at all the prerelease promos yesterday since they will be the same cards as in the intro packs. 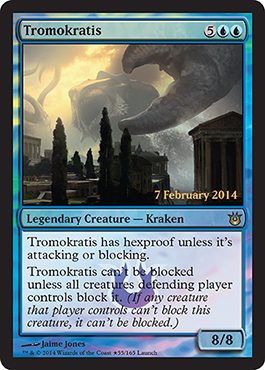 Tromokratis is a new card (it was revealed yesterday) and is pretty powerful, but costly to cast. It is an 8/8 hexproof creature, but only if it doesn't attack or block. 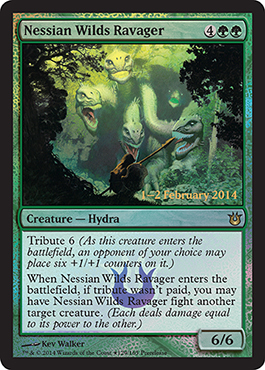 However, if you attack with it, it will only be able to block if all of the creatures the defending player has block it. 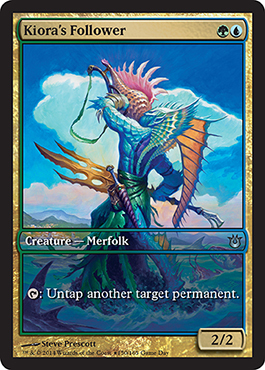 Honestly, I only see this going well in a Commander deck, but Mono Blue Devotion could do something pretty good with this. 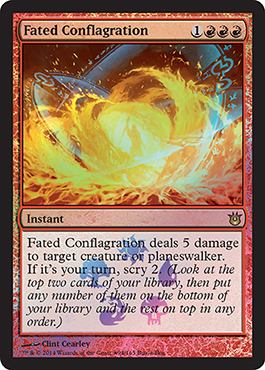 All you have to do is play in an FNM on release day to get one. Fun, fun, fun. 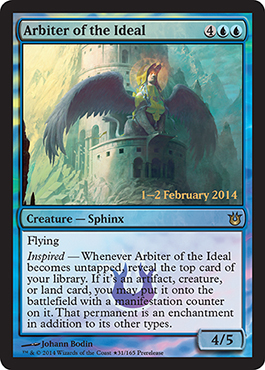 5 damage to a creature or planeswalker at instant speed for 4 mana. It is a bit much, however you can scry two if it is your turn. Not bad at all. Kiora's Follower is given out to anyone who plays during Game Day. 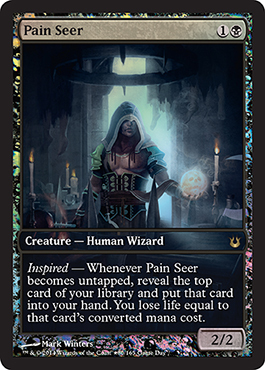 Pain Seer is a card revealed a couple days ago that is a new Dark Confidant. 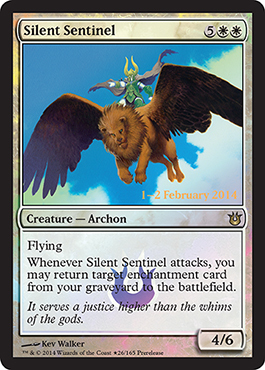 You can check out the rest of the new spoiled cards on our spoiler page. It is updated every day.